A Bournemouth shopping park is celebrating after gaining five accolades in the recent Bournemouth in Bloom competition. 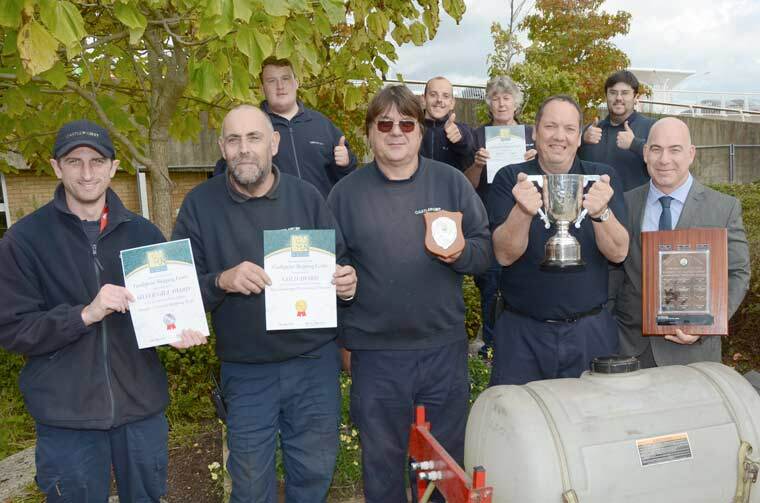 Sean Page, environmental contracts manager at Castlepoint declared his team had made a tremendous effort as they triumphantly displayed the trophies and certificates. The awards included the BCTC Winners’ Cup, the Commercial Sector Garden of Excellence award, as well as gold and silver certificates for landscaping, hanging baskets and for covered shopping areas. When possible the water used had been collected from a tank fed from rainwater collected on one of the roofs as part of Castlepoint’s eco initiatives. Steve Frost is now preparing for the spring display of bulbs and protecting the more delicate plants in readiness for the winter frosts.